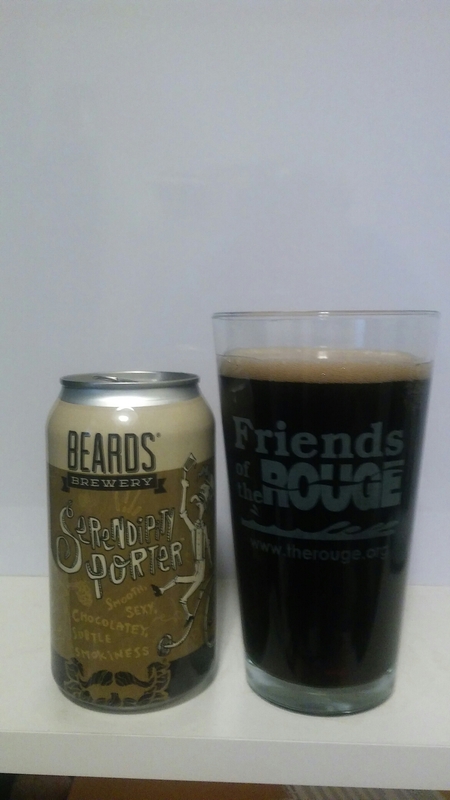 In this beer blog, we are going to get into a beer from Beards Brewery. It is their Serendipity Porter. We will get into a little history and then into the beer. Beards Brewery was founded in 2012 by Ben Slocum and Peter Manthei in Petoskey, Michigan. Let us get into this porter. It has a jet black color without a head on this porter. The aroma has a chocolate, coffee, and a slight smokey notes. The taste has a slight creamy chocolate with a smoke to coffee notes on the back end of the tasting experience. The aftertaste has some nice smokey notes. It is not really drinkable. It is one maybe two beers and move on to the next beer.